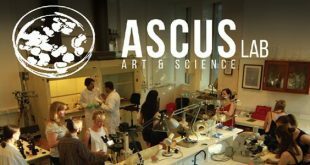 We hope that you managed to check out ASCUS happenings during Edinburgh International Science Festival 2016, as we ran an ambitious programme of art-science workshops and events in ASCUS Lab, our new publicly accessible laboratory in Summerhall. 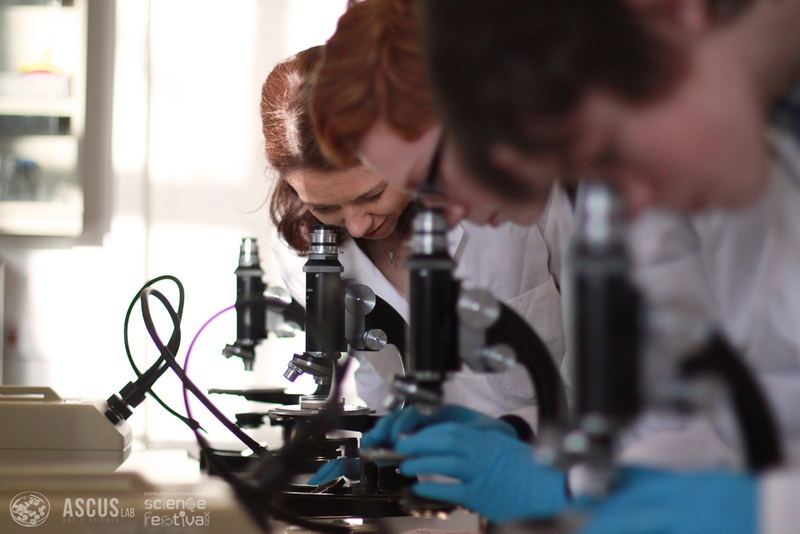 Throughout the festival participants had a chance to experience hands-on activities, from peering down microscopes, delving into the meticulous art of Taxidermy, exploring the sensory worlds of the nematode, to the wild and wonderful science of making natural dyes. Now that the EISF 2016 is over for this year, we would like to thank all of you who participated and came to our unique, practical and creative workshops and events! We are happy to give you an insight into the range of workshops and events we ran for public audiences during EISF 2016, and we look forward to seeing you soon in future events and workshops in ASCUS Lab. Follow us on Facebook & Twitter to keep updated with ASCUS news and upcoming events as well as see more photos from the EISF 2016. 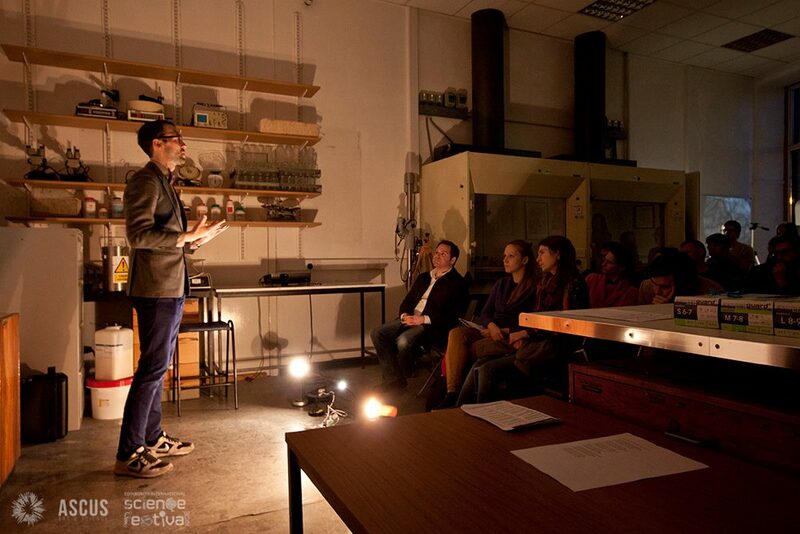 As part of the Edinburgh International Science Festival 2016 we decided developed a unique programme of workshops and events opening up ASCUS Lab to members of the public. We were delighted to welcome back Amelia Howarth where she joined us to run her workshop Science Under the Microscope. 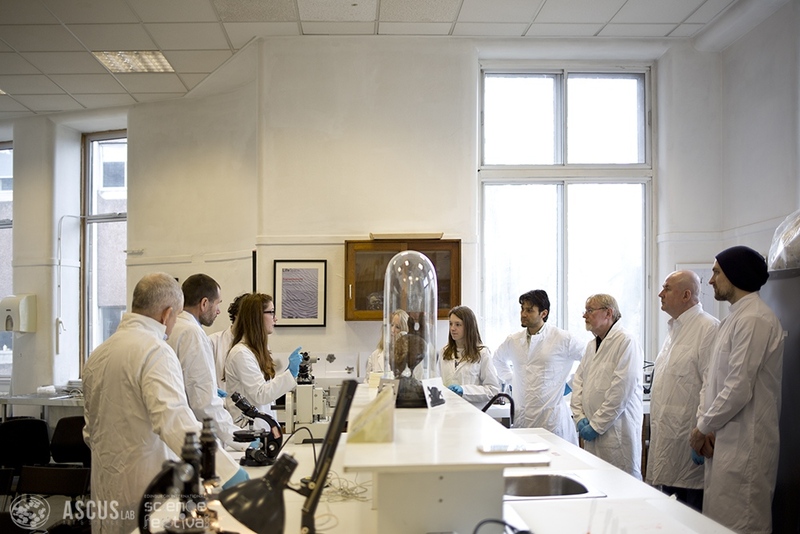 Here participants had a chance to get a hands-on experience, going through the process of taking their own cells, staining them and preparing them ready for viewing under the microscope. There was lots of fun comparing of samples and chats to uncover what was revealed on the other side of the lens. This was followed with Amelia guiding us along, as we explored of the body and cells of living zebra fish embryos. Over the next couple of days, we were joined by Sam Illingworth who got together with researchers to explore alternative and creative methods of approaching the communication of research to a variety of different audiences. Sam also worked with teachers to look into ways of working with poetry within classroom settings, to discover new ways of thinking about a topic. These sessions were followed with a fun and inspiring evening event lead by Sam, a science and poetry open mic night, where members of the audience brought their own poems along. We would like to say a special thank you to Laura Coventry and Andy Munro (Mr. Boom) for sharing their poem with us on the evening. 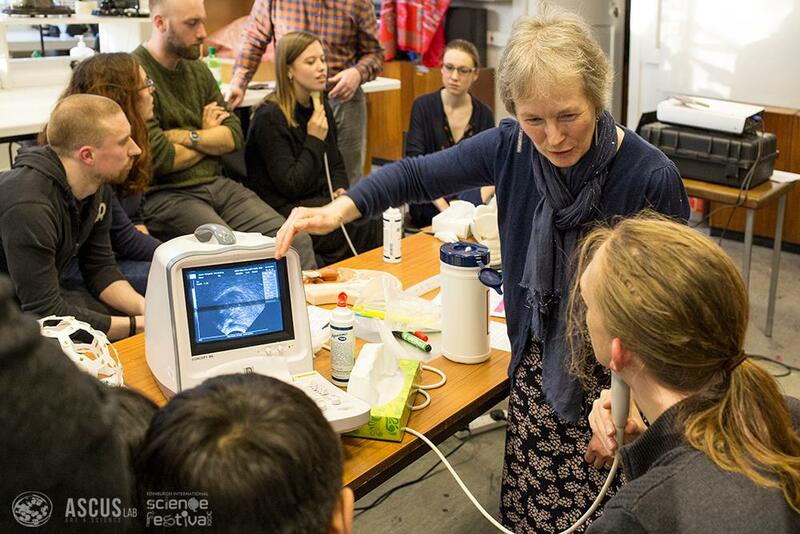 Later on we were joined by Prof Jim Scobbie and Janet Beck for an interactive workshop that demonstrated and explained about how our vocal tract creates the sounds of language and showed real-time imaging of our own tongue generating vowels and consonants as we speak. Participants, from many parts so of the globe, then had the opportunity to get to perform and play using the ultrasound, to visually look at how their own speech and pronunciation is informed by the accent of where their from, and the impact this has on the way they themselves produce sound. 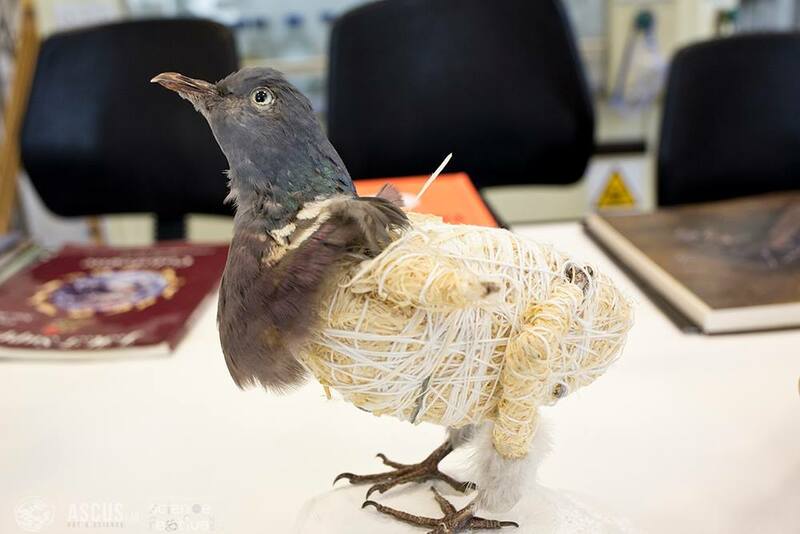 For this science festival we were delighted to be joined by artist Fiona Dean for the first time, to present her workshop based around her practice exploring the art of taxidermy. In this unique workshop participants had the opportunity to attend live demonstrations showing the step by step processes involved in taxidermy at different stages. 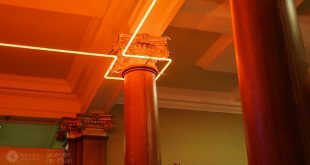 This workshop was an intimate experience for participants, to not only see the skilled work involved in these processes but, guided by Fiona, they also got to have a go themselves and to really get to grips with this complex and beautiful art. Later on in our programme our very own Dr Ryan Lewis invited audiences to explore the chemistry of natural dyes where participants had the opportunity to do their own experimentation extracting dyes from natural sources such as pomegranate and cabbage, to explore how chemical reactions can produce new unexpected colours. It was really exciting to see everyone working away with their samples and venturing into the unknown with gusto and determination. 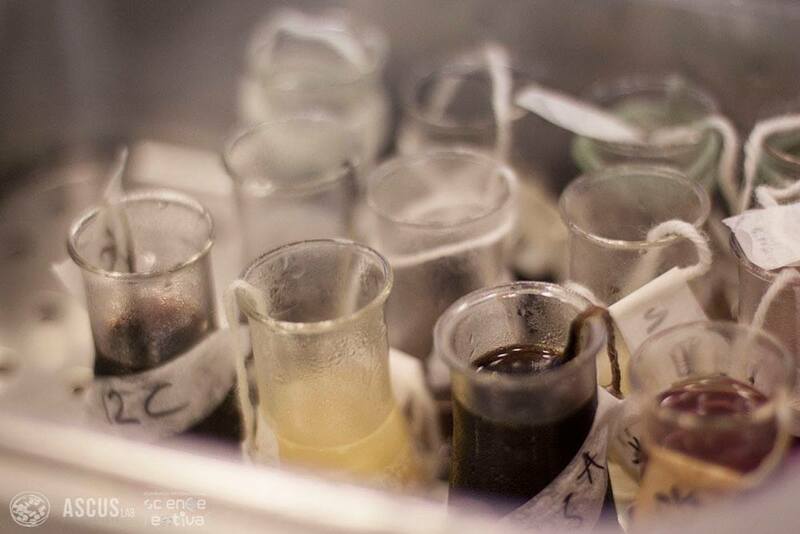 Did you know that little worms have been key to many important scientific discoveries? In the Lab we were joined by Nathalie Vladis who took us on a journey to get an understanding of how our genetic code works and how diseases like Parkinson’s disease affect our nervous system. This was followed by participants getting hands-on with exploring sensory stimulation in worms and finding out how they are similar to the human senses. Here participants got the unique opportunity to replicate activities, that mirror how researchers work with sensory nematodes in a real life lab setting. 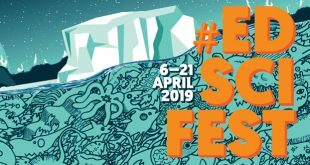 To bring our lab programme to a conclusion for this year, we opened up our doors for the Edinburgh International Science Festival’s Mini Maker Faire. This saw ASCUS Lab host our own DIY Bio Zone featuring special guests Bento Lab and Fiona Dean to bring to maker audiences portable do-it-yourself DNA analysis and the art of taxidermy. 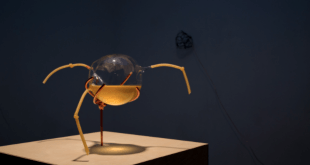 We were delighted to bring to an end our programme in partnership with Mini Maker Faire, with over 500 visitors coming through our doors to celebrate art-science making. Thank you to everyone who worked with us and also for those who joined for this jammed packed two weeks of art and science happenings. We look forward to seeing you again soon!